Manages the preparation of City Council meeting agendas, attends all meetings of the Council, and records Council minutes. Manages recruitment and appointments to Council-appointed boards, commissions and committees. Manages and protects official records of the City and ensures proper codification of ordinances. Responds to inquiries from City residents and others concerning City policies, procedures, and records. Serves as election administrator for all City elections. Administers several permit application processes and the Domestic Partnership Registry. 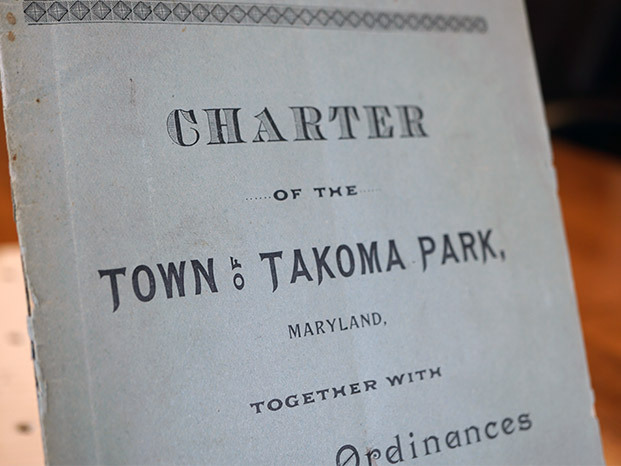 Photo of a historical Charter of the Town of Takoma Park. The City Clerk maintains the current City Charter and Code.